Before the United States entered World War II, Captain America was created out of a patriotic need, and today the star-spangled hero is once again needed. Captain America is more than a costumed hero that sells comic books or movies, but rather a symbol that can fight for what is right and just. The need that called for a patriotic hero came from the mind of Joe Simon with help from Jack Kirby. Prior to the United States involvement in World War II, both Simon and Kirby were repulsed by the immoral actions of Adolf Hitler and Nazi Germany. Both were then working on comic books for Timely Comics, which would later become Marvel Comics, when Simon roughly sketched out a character he called the Super American. Kirby furthered Simon’s creation and the two developed the character into Captain America. It was the duo’s way of speaking out against the War that Germany was waging in Europe. The first issue of Captain America hit newsstands before the Japanese attacked the United States at Pearl Harbor. The war in Europe had been going on for a year and while the full extent of the horror that was Nazi Germany was not yet known to the whole world, Captain America made people feel better. While it was just a comic book, Steve Rogers donned the star-spangled uniform and did what people all over America dreamed they could do. In the first issue Captain America punched out Hitler. It was a political statement and it put Captain America right up there with Uncle Sam. Throughout World War II, the adventures of Captain America and his sidekick Bucky continued with the duo battling the German army, the Japanese army and other enemies of the allied forces. After World War II superhero popularity was fading, and the need for Captain America was not there anymore. By 1954 Captain America was no more and his comic book was canceled. During the cold war Marvel Comics was succeeding in introducing a number of new superheroes and reinvented Captain America feeling that the hero was needed again. Kirby was now working with Marvel legend in the making, Stan Lee, and the pair reintroduced the comic book world to the World War II hero as he took the leadership role of the superhero group called the Avengers. 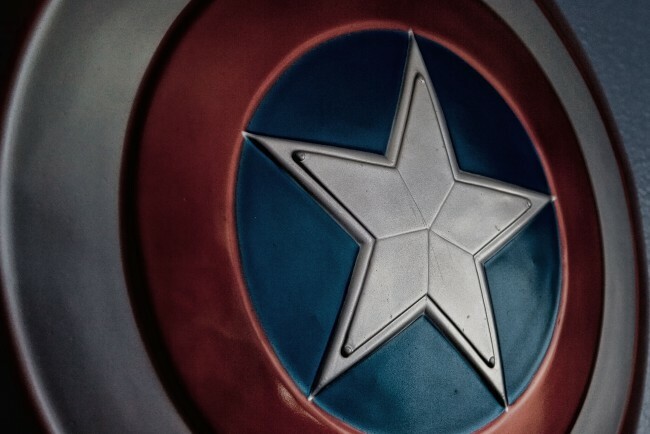 Transitioning from the comic book world to the silver screen, Captain America and the Avengers may have been a modern-day retelling of stories that started in the early 1960’s, but it came at the right time. Not just taking the comics frame to frame and turning them into a movie, but taking the stories from countless fans childhoods and making them into a modern epic storyline spanning across multiple movies was brilliant. However, it was not until Steve Rogers recent movie, Captain America: The Winter Soldier did it become apparent that the hero is needed by America once again. The recent real life information about the American government spying on the world was troubling. Whether by phone or email or whatever, it was hi-tech spying that the populace felt was not right. What is the American public supposed to do against the power of the United States government. There was always turning to the internet to blog or voice objections, however, there was more that should be done to show that the public was not thrilled. While Captain America and the Avengers are meant as entertainment, they can also be used as a political statement. When government tapping is revealed in the latest movie, Captain America stands up for what is right in a way that many of the non-super powered public can not. While not giving away the whole movie, the public can be secure in knowing that when government actions locally or globally seem beyond the power of mere mortals, Captain America, fictional or not, will stand up for what is just. One Response to "Captain America Is Needed Again"
Too bad Chris Evans is nothing like a Snowden or Captain America. He is exactly the opposite of what the Captain stands for. Its really sad, because he makes a great Captain America. But Chris in real life, doesn’t like God and believes the central government should have all the power.